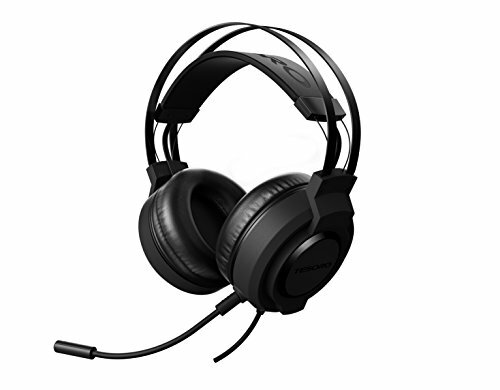 Gaming headsets require 4 things to be truly epic: sound quality, comfort to wear for long durations and durability. High-octane 50 mm fine-tuned neodymium drivers deliver precise pinpoint accuracy. The olivant headsets were engineered to offer the best ergonomic fit while offering unprecedented lightness. Memory foam ear pads covered with protein leather means endless hours of comfort. With universal compatibility, the olivant series gives you Supreme performance while gaming, watching movies or listening to music at home or on the go. If you have any questions about this product by Tesoro, contact us by completing and submitting the form below. If you are looking for a specif part number, please include it with your message.